Kwame Alexander is a poet, a speaker, an educator, and a bestselling author of more than twenty books, including The Crossover, which was awarded the 2015 Newbery Medal. The cofounder of LEAP for Ghana, an international literacy program, he is also an advisory council member for LitWorld, a K-6 literacy organization dedicated to supporting the development of literacy in the world's most vulnerable communities. 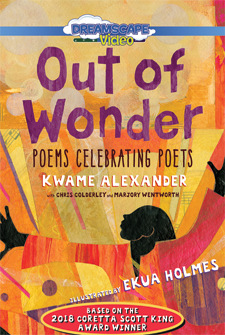 For more information, visit KwameAlexander.com. After discovering a family secret, Blade begins a journey to discover friendship in Ghana.